How will our organisation cope with change? How capable are the people? How motivated are the people? It seems to be true that whatever activity goes on in an organisation, where human beings are involved; they usually have a significant impact on performance, the journey for Business Excellence. The question is how this is taken account of in the pursuit of business or operational excellence. 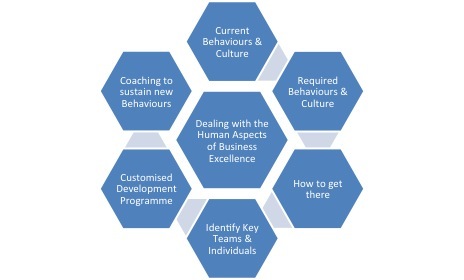 For more details please contact george@mcknightgracie.com or +44 7711 681661 to discuss the human aspects of change which might be relevant to your organisation. Contact us to discuss how we can help you achieve your more from your people.